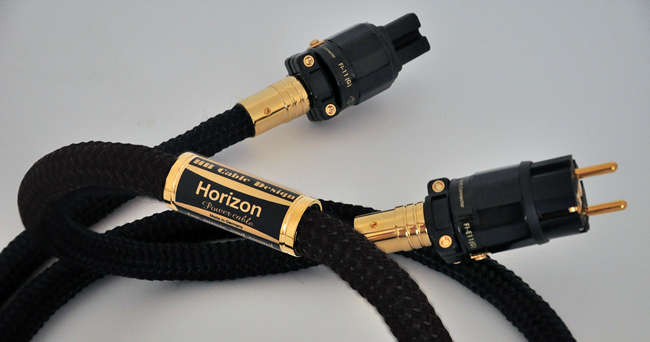 Like all power cables in our collection, the Horizon ensures that a strong, distortion-free and fully stable connection is maintained between your audio components and the power supply. Thanks to its high level flexibility, the Horizon power cable is suitable for use in systems placed close to the wall where cable space is tight. All materials used are produced individually to our specifications and hand-stranded by our own experts. Effective diameter: 9 qmm. Conductor materials: copper/silver.